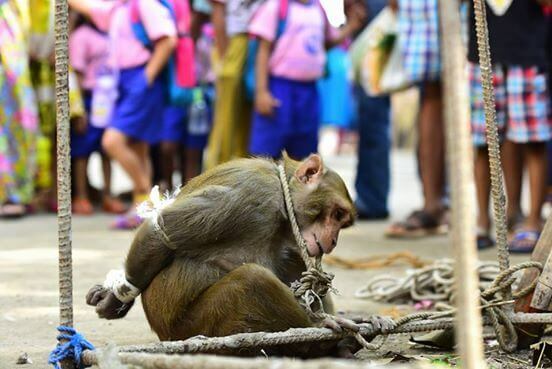 In India, a monkey was in serious trouble as spectators rallied in its so-called ‘well-deserved’ punishment for stealing food and causing chaos in the local marketplace. Fruits and other produce are often stolen by these apes, but only because they have no other food source. 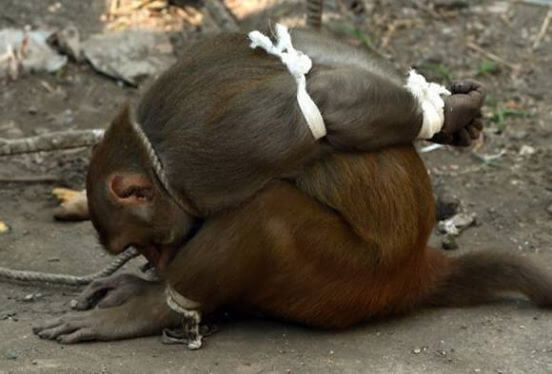 But instead of understanding and resolving the conflict between ape and man, locals decided to punish a monkey in their own way. 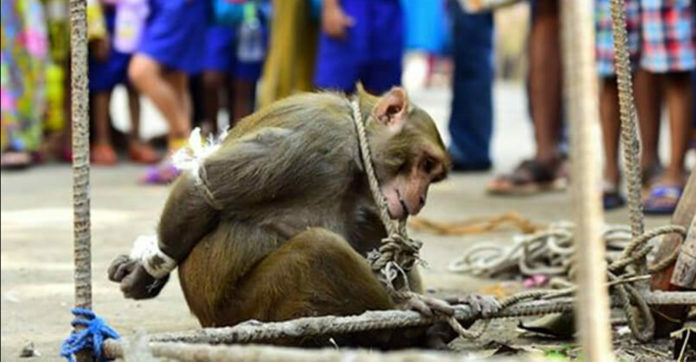 Some people actually caught one monkey, bound its arms and feet with tight nylon strings, and sent in front of a cheering public to be jeered at! This cruel act has been photographed as evidence that animal cruelty still exists out there today – without any punishing consequence to those who harm animals. Animals should never be punished in any way – regardless of what they did, they were just trying to survive, just like humans! Humanity could learn a thing or two.